December 15, I was installed along with my colleague, John Anderson, as co-pastors. Leading up to the installation, I shared ideas of how to involve the community, neighborhood, and congregation in the installation worship. 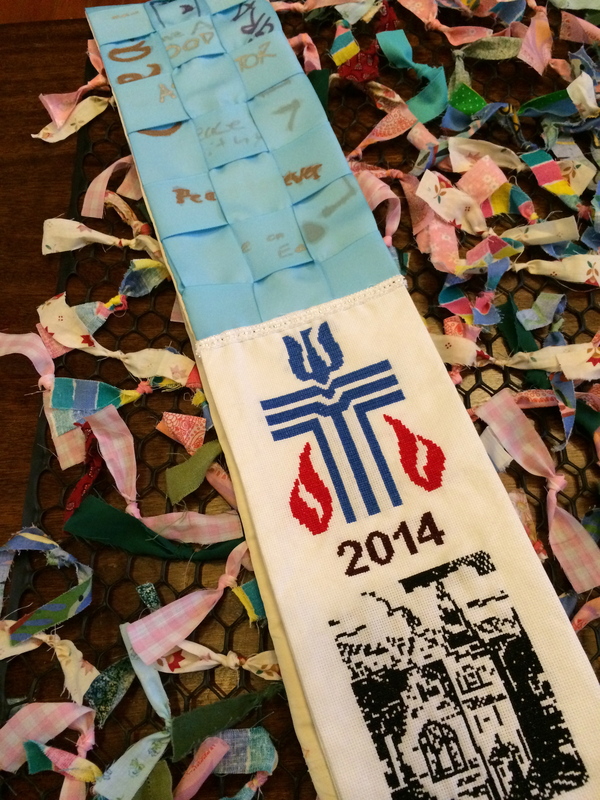 Here is the result of turning what was previously made during prayer stations into paraments and stoles for the installation. 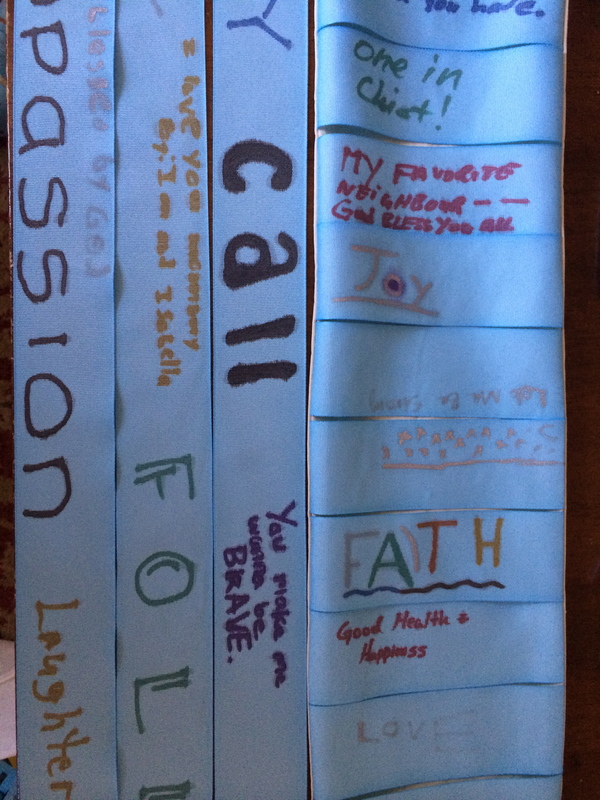 Kids learned about prayer in Sunday School and constructed this prayer ribbon wall. 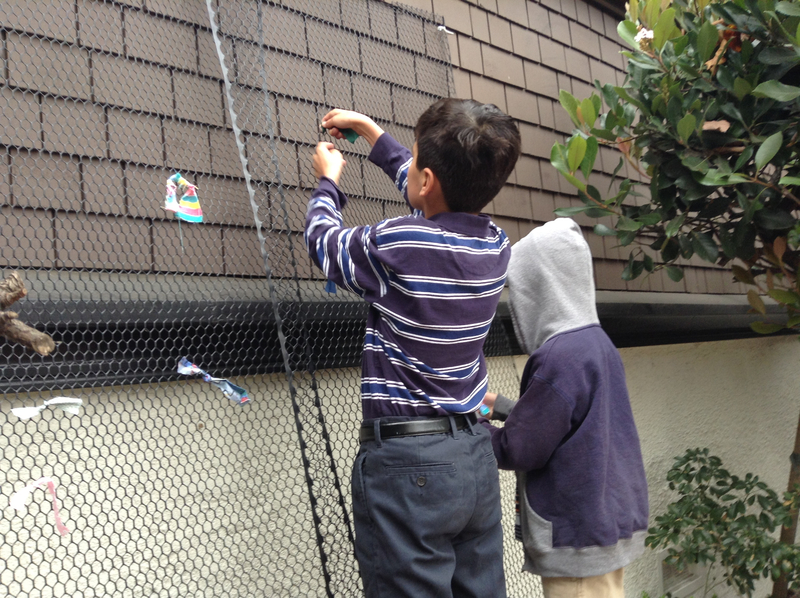 Passersby in the neighborhood were invited to add a prayer to ribbon prayer wall. 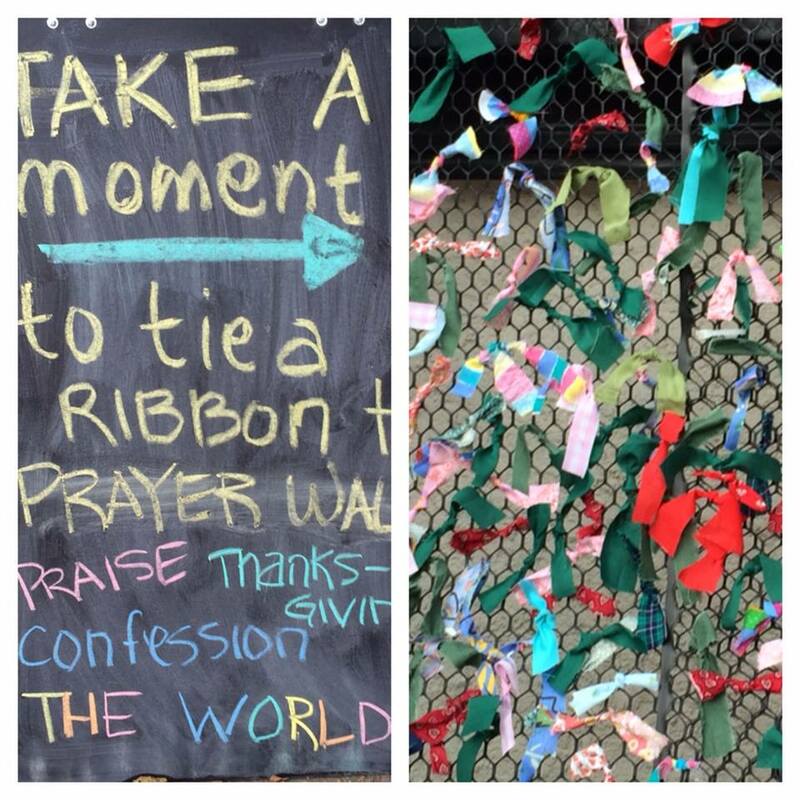 The ribbon prayer wall hung outside the church for a month. 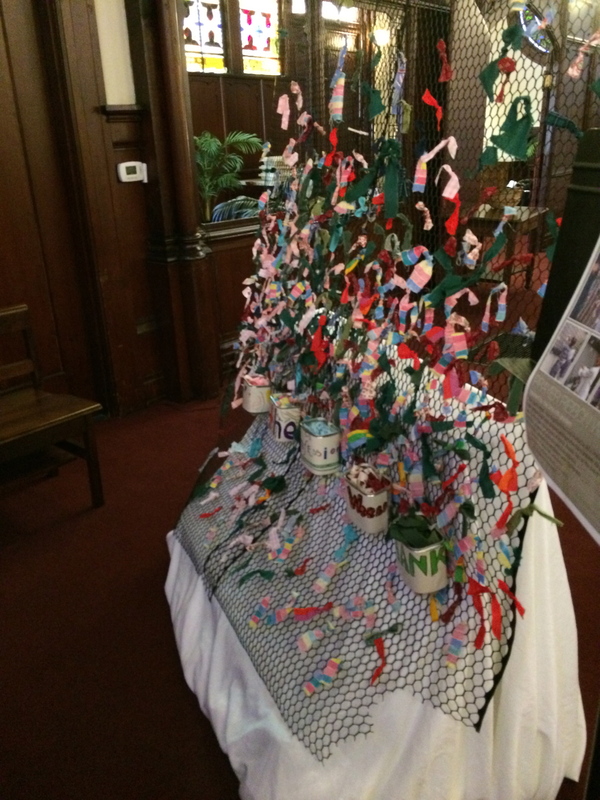 The ribbon prayer wall was moved inside the sanctuary and used during a prayer station. The congregation was invited to add their prayers to the community’s collective prayers. 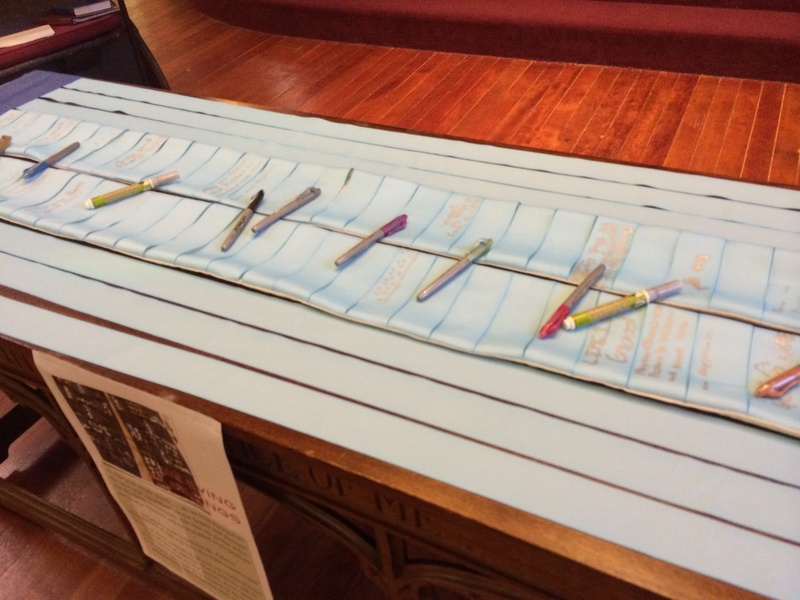 The ribbon wall was then cut, trimmed, and turned into a parament for the communion table, reminding us that we carry the prayers of the community, the neighborhood, and the congregation as we serve in ministry. You can find instructions to make these stoles here. 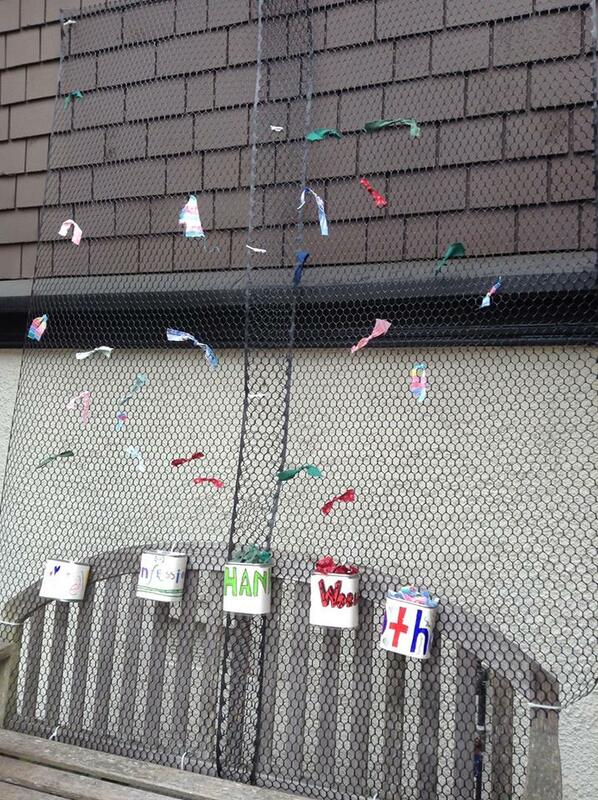 Congregants were invited to write prayers and blessings on ribbons. 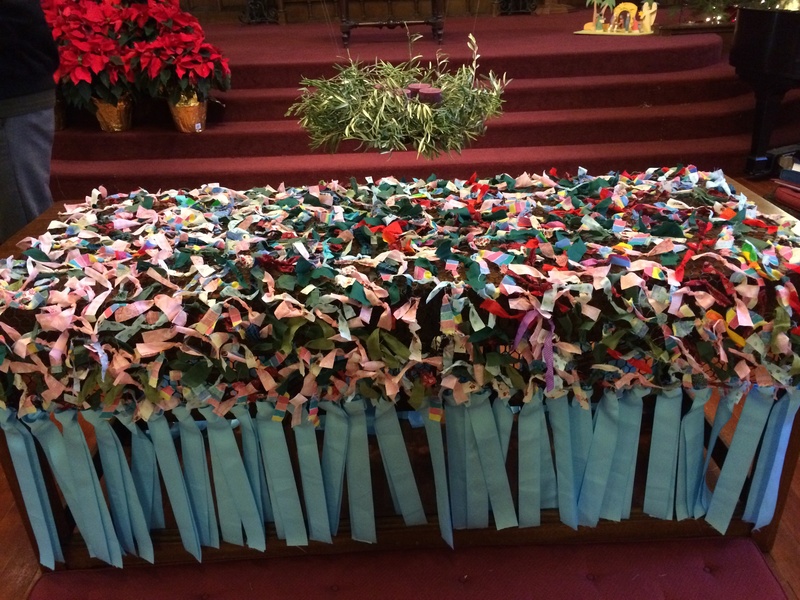 The ribbons were woven together and finished off with a crossed stitched cross, year of installation, and picture of the church. I love this idea. Can you tell me how wide the ribbon you used? How wide is the the finished stole? What length do you recommend? The ribbon is 1 1/2″ wide. That makes the stole about 6″ wide. The length is from knee to knee. So depending on how tall the person, measure from knee, up around the neck to the other knee. Thank you so much. I am planning to make this for the 40th anniversary of our minister’s ordination. Did you do anything different for the neck? I am planning on using green ribbon. Did you use white fabric markers on the black ribbon? What a great gift! I didn’t do anything for the neck. It made it easier to weave the ribbon through if it was flat. But my seeing skills aren’t great so you could definitely taper the neck for a better fit. I used metallic markers because it popped more against the black but you could certainly use fabric markers. Thanks for your quick replies, I would like to have it ready for prayers and blessings to be written on Sunday! I will be heading to the store first thing in the morning.